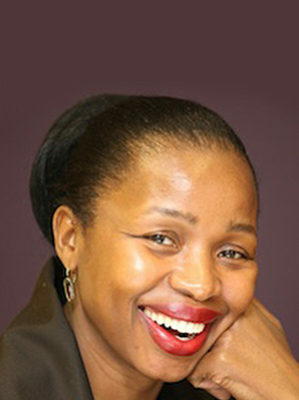 Thembi Msibi is CEO of the Advertising Standards Authority. She was previously an international relations executive in two government departments and before that a legal adviser in the Department of Transport. She was a corporate lawyer for the South African Broadcasting Corporation as well. Her work experience in these departments has led her to work with government counterparts in various countries and public advocacy institutions in the SADC region, West Africa and in Europe. Her work also involved extensive interactions with South African Government, Parliament and its committees and other government departments. Thembi has also led a provincial transport department which entailed managing and administering a provincial budget and mapping a strategy for the department. Before returning to South Africa, she worked for a prestigious law firm and public advocacy firm in the United States, where she managed artist contracts and identified targets ranging from policy lobbying to opportunity access. Thembi is an alternate for the Compass Group a board member for the Railway safety regulators panel as well as the Director for Ombudsman for Banking Services She is a lawyer by profession, having been admitted to the bar in London, UK. Her key competencies are in entertainment and corporate law. She is a Fellow of the sixth class of the Africa Leadership Initiative-South Africa and a member of the Aspen Global Leadership Network.